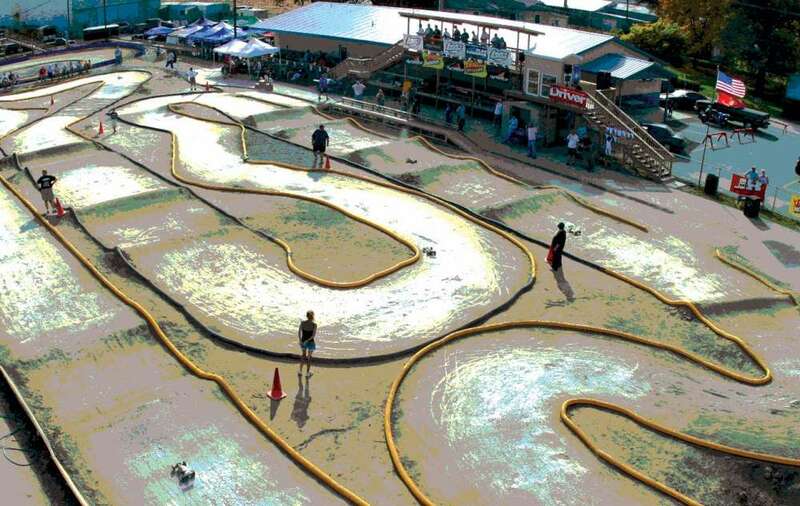 This article was originally published in RC Driver’s August 2016 issue. One of the great things about 1/8-scale cars and trucks is the extended run times that you get. 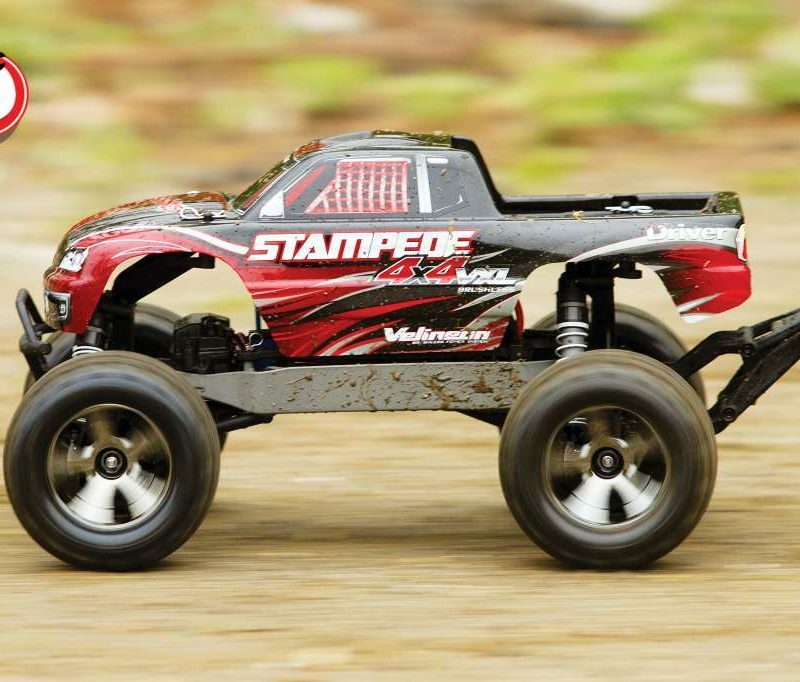 Whether you’re running a nitro or electric vehicle you’ll typically get more trigger time than with smaller 1/10-scale cars and trucks. That extra runtime means extra abuse on your gear, and if you want to avoid the “walk of shame” after a wheel goes bouncing away and your car comes to an abrupt halt, you’ll need to take a few basic steps to ensure your car or truck runs perfectly each time you go out. Nothing here is too overwhelming, just a big pile of common sense. Anytime you have a screw which threads into a metal part, such as a suspension mount, bulkhead or chassis braces, you should use some sort of threadlock to keep things together. Threadlock helps form a bond between the screw and the metal part, which can help prevent it from backing out or vibrating loose. 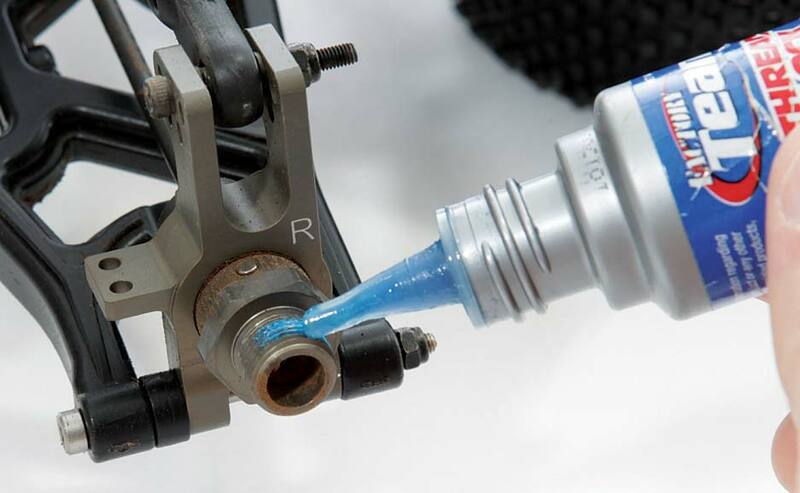 Before you apply any threadlock make sure the screw and part you’ll be threading the screw into are both clean and clear of any dirt, grit and grime. Be careful when you use threadlock as more is not better. Use a light amount on the screws and thread it into the part to spread the liquid around. Once the screw is installed wipe any excess threadlock off. Not only should you use threadlock on any screws that go into a metal component but you can use a little on your wheel nuts, too. 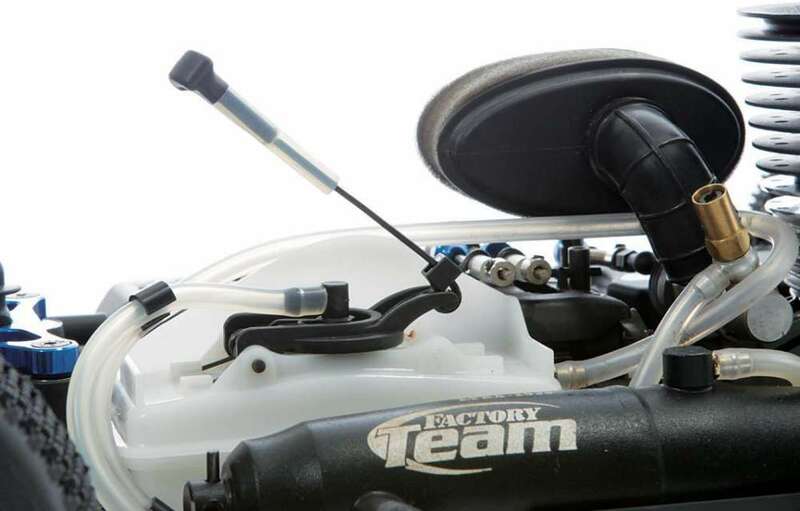 If you’re running a nitro car or truck you should make sure your receiver pack is in top shape. 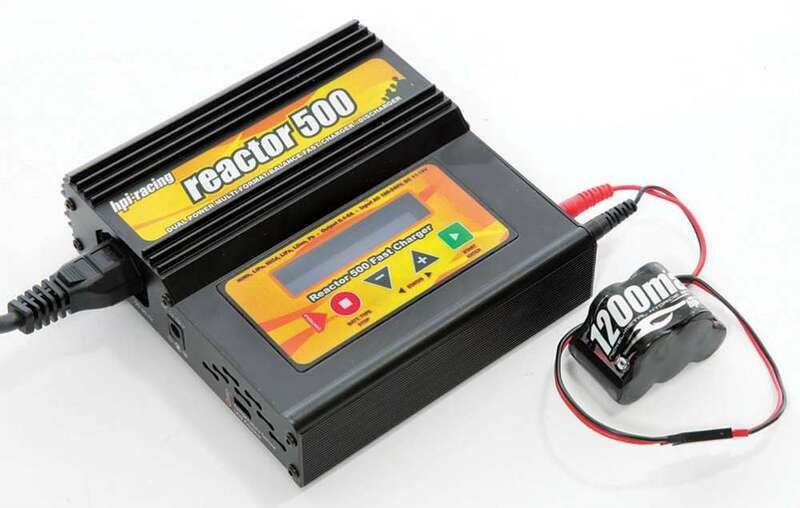 Many RTR’s include a 4-cell “AA” receiver pack and, while this will get up and running, a rechargeable 5-cell NiMH or 2S LiPo pack are much better choices for powering your radio gear. 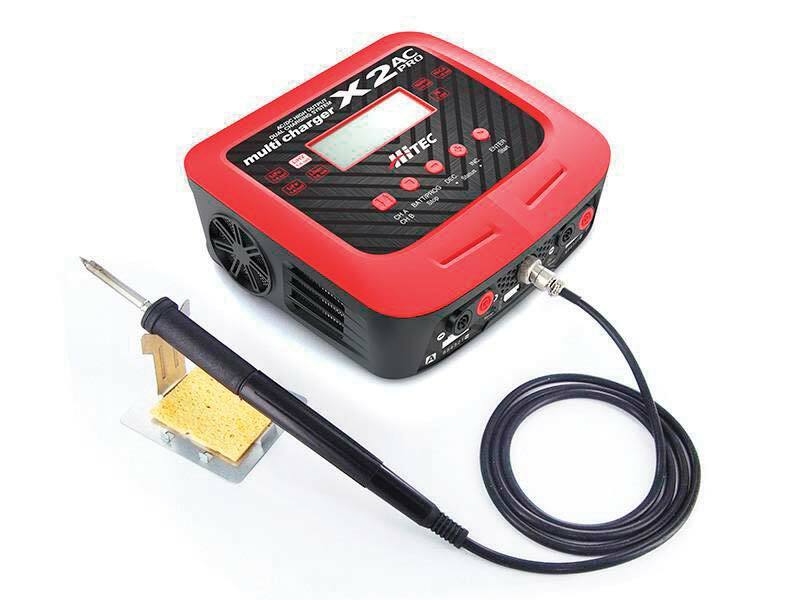 Not only will a rechargeable battery receiver pack have a little higher voltage output but it will save you money in the long run thanks to the ability to recharge it and use it multiple times. 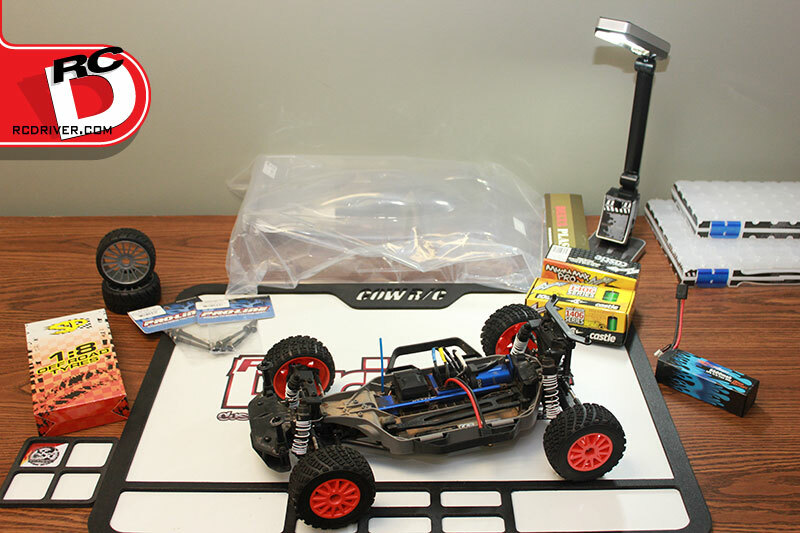 In addition to your receiver pack you’ll want to check your transmitter, starter or starter box and glow driver batteries, too. 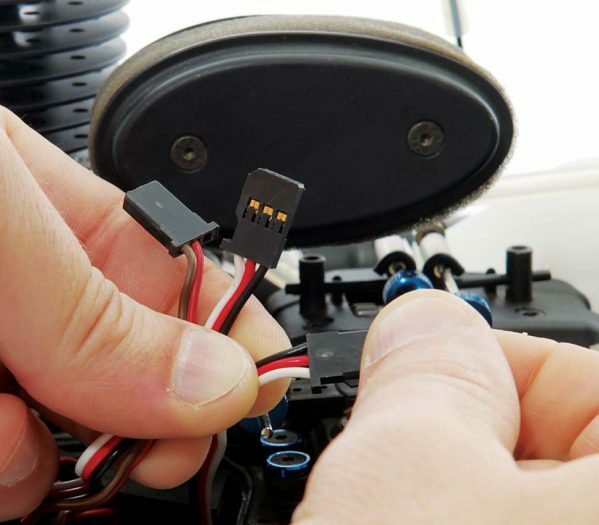 As we just mentioned, the electrical system of your car is extremely important to your performance, but if your connections between your components aren’t in good shape they could fail you at the worst moment possible. 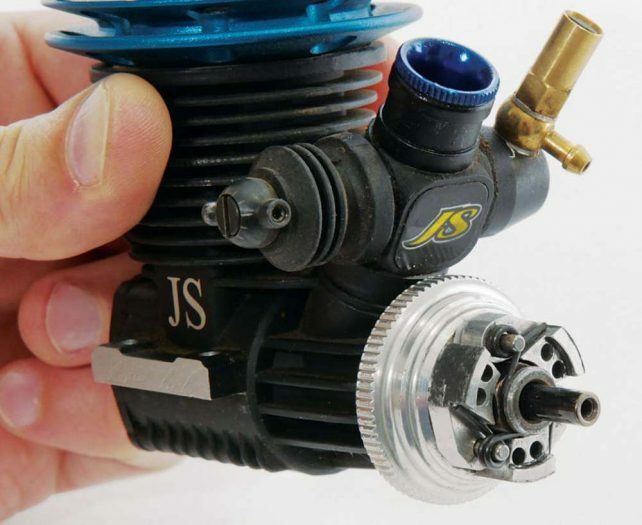 There are a number of different areas you should look at, from the servo and ESC connections to the connection coming from a receiver pack. In addi- tion to your receiver pack’s connection that actually plugs into your receiver you may want to check the condition of the solder joints between the cells. You’ll also want to regularly inspect your leads to make sure they’re not worn or frayed; especially any leads that route around moving parts. For nitro vehicles the clutch bell bearings are always under a ton of abuse, not only from being spun at high RPMs but also from dirt, grit, grime, heat, spilled fuel and more. 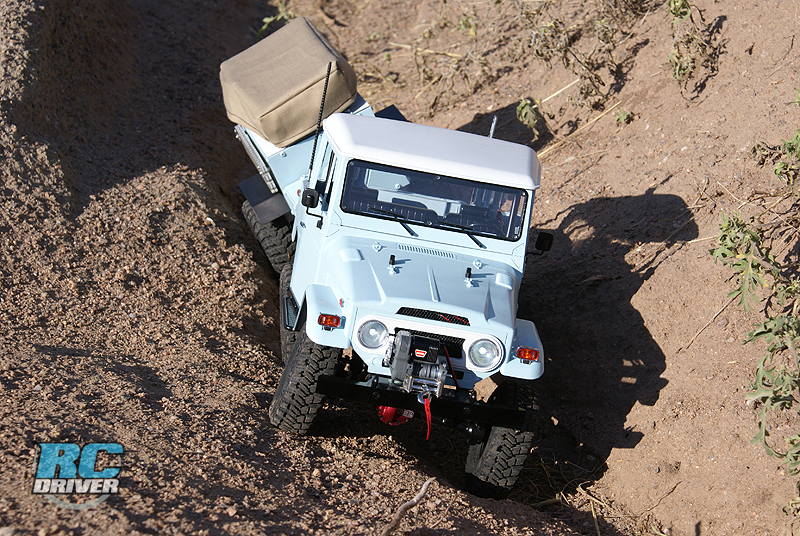 Clutch bell bearing failures can bring your run to an end, quick. Replacing your clutch bell bearings can get expensive but there are ways to extend their life. Regularly cleaning any clutch shoe dust from the inside of the clutch bell will definitely help, along with keeping your bearings properly lubed. You can also extend the overall life by being more careful during refueling. Nitro fuel breaks down the grease used in bearings and also leaves some nasty residues behind. Bent hinge pins, shock shafts or other parts are early indicators that your vehicle has seen its fair share of abuse and needs some TLC. Bent parts can cause your sus- pension to bind up. 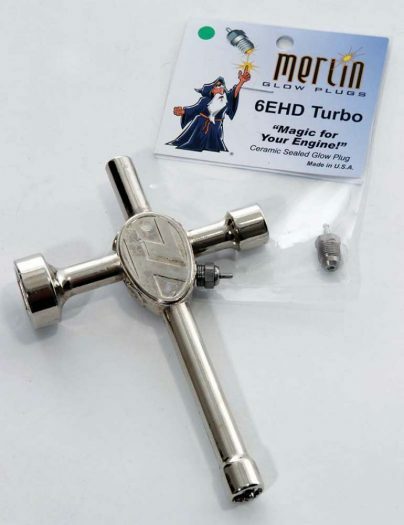 This will cause your suspension to not work properly, and parts to not spin freely which will rob you of power. 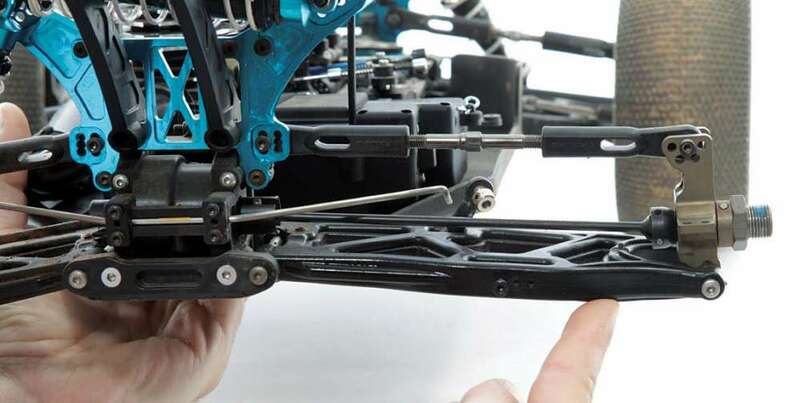 To check if your suspension is binding disconnect the lower shock mount, lift the A-arm and let it fall. If the arm can not go through its entire range of motion unimpeded then you may have a bent suspension pin. Don’t bother trying to straighten out a bent pin; you’ll never get it truly round again and new suspension pins only cost a few dollars. One of the most amaz- ing feats I have ever seen was when I saw Adam Drake run almost 45 minutes of an hour long main event with one of his front tires partially unglued and the insert flopping all around. When asked about it later he admitted that he had forgotten to check his tires before the main and, due to the side forces during cornering, his tire had literally been ripped off of the wheel. Checking your tires is as easy as trying to pull the tire away from the bead and touch- ing up any areas where the tire does pull away from the wheel. 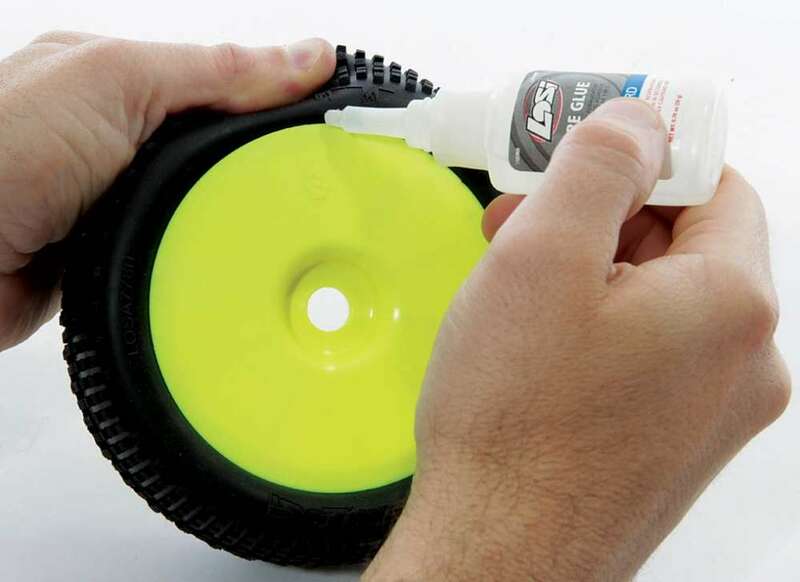 Before touching up the bead you may want to use some motor spray to clean up the tire and wheel to ensure the CA has as clean a surface to bond to as possible. If you’re running long main events you’ll want to ensure your body stays on for the entire length of your race. I’ve seen instances where front body clips have come off a car during a run and the body acts like a parachute or air brake. There are a few ways that you can keep your body on easily. One such way is to install a Lexan body washer between your body and body clip to prevent your body from pulling through. Another option would be to use some zip ties around the end of the body clips so they can’t pop off. Finally, if you notice your body cracking or taking on damage around body post holes you may want to retire your old body and pick up a new one. Running for longer periods of time means you will need to refuel your car or truck on the fly. Having some sort of tether on your fuel tank will make it easier for your pit person to get your rig fueled up quicker and easier. 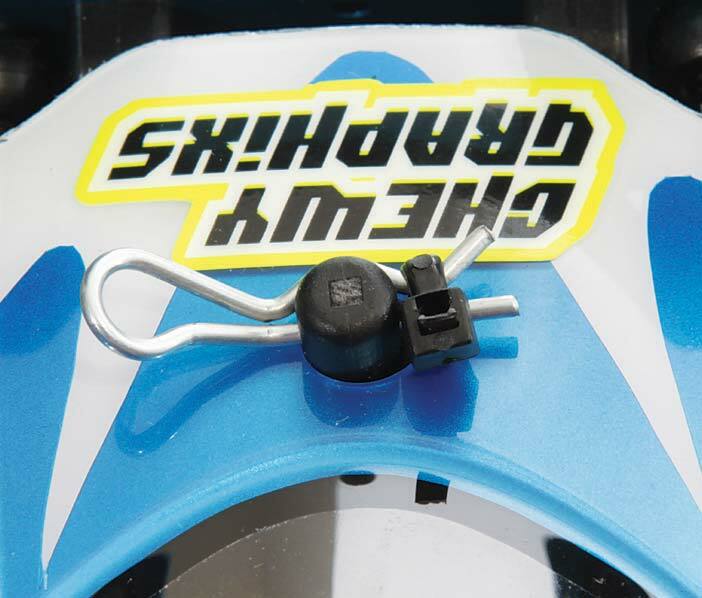 An easy way to do this is to install a zip tie through the opening on the end of your tank lid. You can even install some fuel tubing on the zip tie to make it easier to grab onto. Or to make life easy, pick up a fill kit from DE Racing. Having a flame out is a total bummer, especially if it’s caused by a burned-out glow plug. Having some extra plugs with your pit person is a smart idea. Your car or truck probably came with a four-way wrench and often there are areas where you can have a spare plug or two ready to go in a moment’s notice. Many starter boxes have spots for spare plugs, too. Just make sure that if and when you swap your plug out in a hurry you don’t forget to install the washer, too!